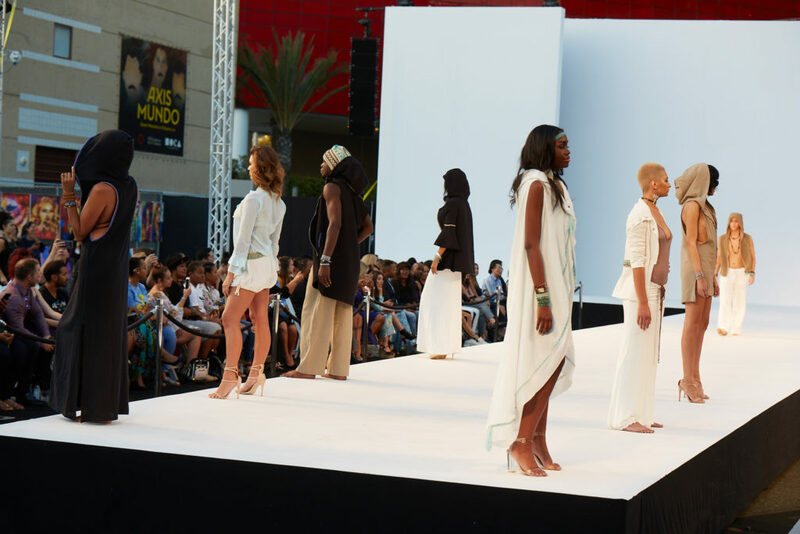 SITA Couture rocked the opening of STYLE Fashion Week at the Pacific Design Center this past Sunday. STYLE Fashion Week presented the season’s must see designers, incredible shows, unforgettable performances, exclusive installations and was attended by the leading designers, fashion brands, and media from around the world. Pre-catwalk the stage exploded with the sensational Ellie Grace Kay. She was wearing the Earth Mermaid Mini, by SITA Couture. Kiara Belen, America’s Next Top Model, opened the show with the Indian Summer “Wear Your Roots” collection. The collection is in support of native artisans of Michoacan, Mexico. This creates an authentic and unique touch to all SITA Couture styles. The jewelry was provided by Dillon Rogers, an LA based accessory designer. Peep some of the haute look runway ensembles below. Outstanding accessory of SS18, the Native Hoop was all the rage! Check it out here!